Every so often I run across some great ideas on how to save money that I have to share them with my readers. This week I found some great articles on saving money while grocery shopping, personal finance for college grads, and how to find bargains at a garage sale. So how can Frugal Living be easy? A lot of it depends on your personality and lifestyle choices. Are you organized and do you plan or do you live for the moment? Frugal Living doesn't have to be time consuming but it does require some planning. A budget is a must if you are not generating enough income to fund the kind of lifestyle you desire. There are many apps to help with budgeting that can help make managing your finances easy. Once you determine where your money is going the next step is deciding where to cut back on spending. 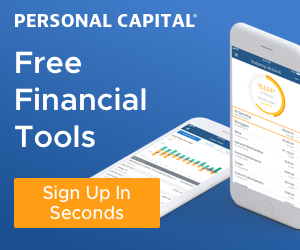 This is where most individuals struggle either because they 1) dont' have clear personal and financial goals or 2) fail to control impulse spending. The answer is quite simple: live within your means. Jai, that’s so true. People think frugality means denying yourself all of this stuff you enjoy. It’s not that at all. It’s just being a savvy consumer, budgeting, and not being wasteful with your money. Plus, the dividends you reap in terms of money saved, debt paid down, etc, are gratifying in and of themselves. Just like most things there are degrees of frugality. I agree with the bad rap, hence the article. I just try to be deliberate about my spending and not be wasteful. Paul, thanks for including me in your round up. Frugal gets a bad rap. It’s like dieting. It’s not a good word. Frugality if done right is budgeting for a healthier lifestyle. We need a new word to get that across because people misunderstand what it is more than not. I agree with the diet comparison. Being frugal does get a bad rap, but only because it’s what you should have been doing in the first place. I couldn’t agree with you more Josh, preparation is the key to success in most endeavors! I have a good friend who used to quip, “Proper prior preparation prevents poor performance”. I think this applies well to the idea of being frugal. It comes easier for those of us who love to plan ahead. Fits the theme and it was a great post! Ahh, grabbed one from the archives! Thanks for the mention! ThaNks for the mention. 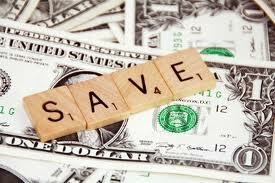 These are some great money saving tips. I appreciate being included.